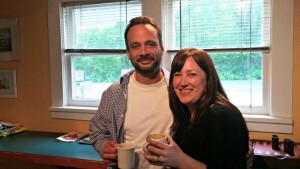 My husband and I recently enjoyed a weekend getaway at the Angel of the Winds Casino and Hotel. During our stay, we were fortunate enough to have a tour of the local area from John (hotel guru of the area). He shared with us some of his favorite spots. We had so much fun, we wanted to share some of these tips with you! The La Conner area is a great stopping spot approximately half way between Seattle and Vancouver. 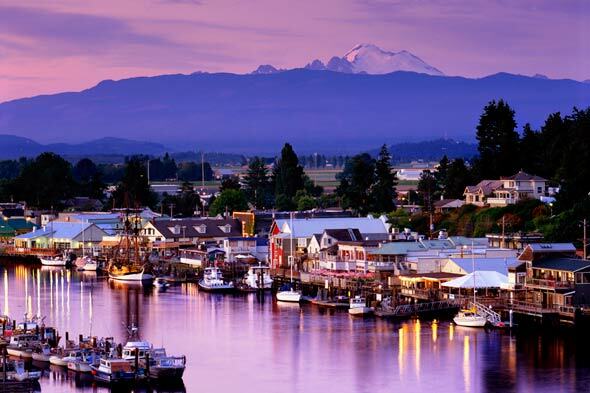 You can check out the Visit Skagit Valley site for lots of details on the area, but here are some of our favorite tips for off the beaten path spots to stop! If you like weekend road trips (or day trips), and visiting small towns this is a great area to explore. The trick to making this a budget friendly getaway, is to plan ahead. There are a number of free activities to enjoy, including great hiking spots, beautiful parks and more. There are also many festivals in the area that you can plan your trip around. You could do it as a day trip, and pack a picnic, and keep your costs close to a tank of gas. 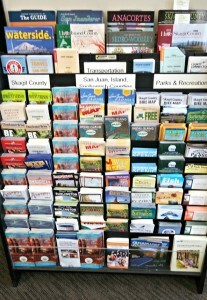 You could also make it a weekend trip, and find a budget friendly lodging option. A few ideas for this include: camping, finding a lodging deal on one of the deal sites, or the Angel of the Winds Casino and Hotel deals. There are a number of festivals throughout the year, that are especially fun times to visit. Be sure to follow our festivals post here to stay on top of those! KAPS Radios Country Store – this local radio station offers many discounts for things like local restaurants, the Childrens Museum & more! Follow our weekly Getaways post to find deals for lodging in the San Juan area, and other lodging deals tht may pop up in this area of the state. The Rexville Grocer had this simple map posted on the outside of the store. I loved its easy view of the area, just to get an idea of how everything it oriented! We have listed the cities in the order that you might want to stop, if you were driving up from Seattle to Vancouver (or Bellingham), with some general information on things you might want to see. This little town is a quick stop, just a couple of minutes off of I-5, with just a few businesses, but has a great little cafe or meat market if your looking for a bite to eat or want to grab some snacks. 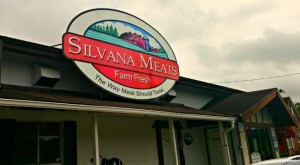 We stopped in at Silvana Meats for some of their homemade jerkeys and beef sticks (so good!). It really is a little gem if your looking for some quality meats! We also drove past Willow & Jims Country Cafe and it was packed! We did not get a chance to stop in but heard that the food was great, especially if your looking for a spot for breakfast. 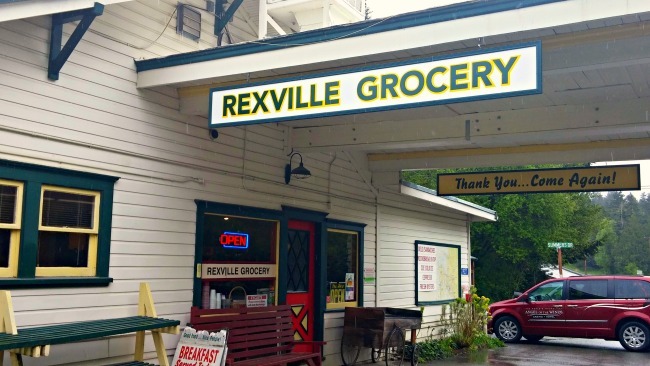 We took the back roads from Silvana to Rexville, mainly just to stop at Rexville Grocery (to be honest that was all I saw in Rexville). We loved this little pit stop though! It felt like a stop back in time for me (like the old grocery stores I used to stop at with my mom for ice cream when we would drive up to the mountains). They had a good old fashion sandwich bar, where you sit right up at the counter (even were offering meatloaf sandwiches the day we were in there). The counter was full when we were there as well! In addition to the sandwich bar, they offer picnic lunches to go if you plan to head to a local park, or hiking area. There was also a coffee bar that we took a break at, and little dining area and cafe. We grabbed some coffee, and they had wooden chess and backgammon games to play. Its a great pit stop, if your looking for one. Another quick drive through we did, was a loop through the city of Conway. Conway is so small that there is no website I could find for the town, and it had 91 residents noted on the last census. It is however, full of creativity. 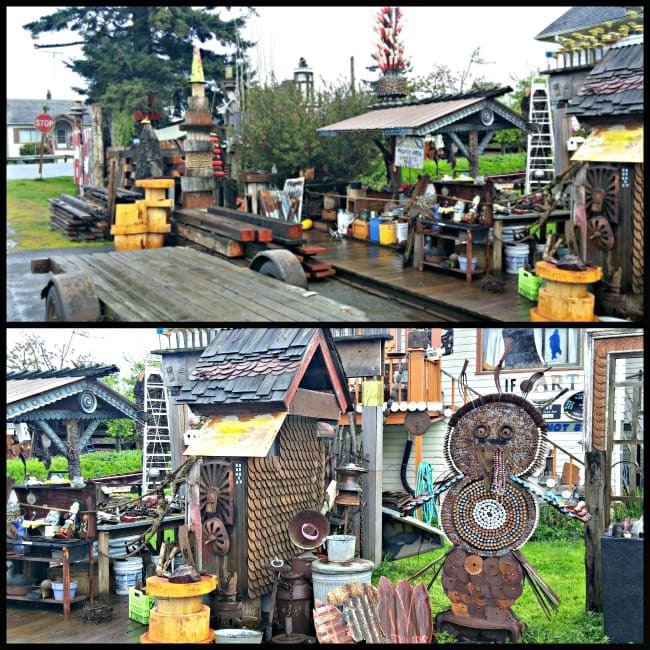 I fell in love with this artists house we found right off the main highway in the area. You can only look from the outside, but if you love to reuse and repurpose items this is a fun stop. I was inspired to come home and start creating more from the items I have been collecting around the house! La Conner is well know for the Tulip Festival each Spring, but it would be a fun town to visit year round! We did not get a chance to spend as much time as we would like here, but the town is so quaint, with plenty to do. Check out this list of 101 things to do in La Conner to get inspired! There is also a beautiful waterfront area, and many fun restaurants to explore! The bridge that you see in the background is called Rainbow Bridge. 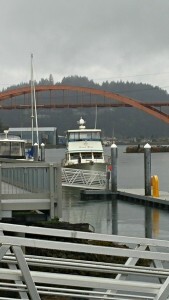 It connects Fidalgo Island and La Conner, and you can walk over it or drive it and enjoy the views. Be sure to download this walking tour of La Conners historic landmarks if you want a fun way to explore the town too. Mt Vernon has a fun waterfront area that you can take an easy stroll. They also have a great visitor center, that makes a good first stop (right next to the Tulip Festival office if you want more info on that)! In addition to the newly revitalized waterfront park area, and cute brick downtown (old movie theater and all), Mount Vernon also has a nice spray park you can take the kids to, to relax. The Camano Island State Park and Cama Beach State Park, are favorite summer spots to visit for many in the Northwest. There is lots of beach area, cabins to rent (waterfront), hiking and more. Its also a popular destination spot for weddings if your looking for someplace for an event. 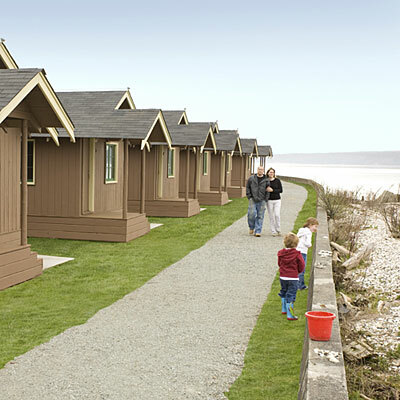 The cabins at Cama Beach State Park made the Coastal Living 4 Budget Beach Getaways list too! Canopy Tours NW is also a popular spot to enjoy Zip Lining in the area. This spot is not cheap, but if you are looking for an adventure to splurge on it sure looks fun. 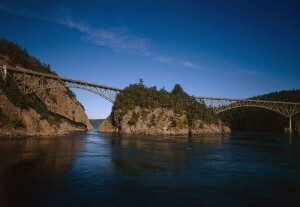 Deception Pass is technically not part of Skagit County. 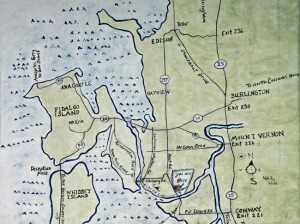 It’s actually part of Island County and connects Skagit Bay, part of the Puget Sound, with the Strait of Juan de Fuca. It is considered part of North Whidbey Island. Its about a 20 minute drive from the La Conner area. It’s a beautifully scenic area to explore, but there is a nice State park to check out. Find all of the details on Deception Pass State Park here (be sure to check out the Free Admission Days for Wa. State parks too, to save more!). If you want to explore Whidbey Island beyond Deception Pass, check out this video on North Whidbey Neighborhoods, to get a good feel for the area. 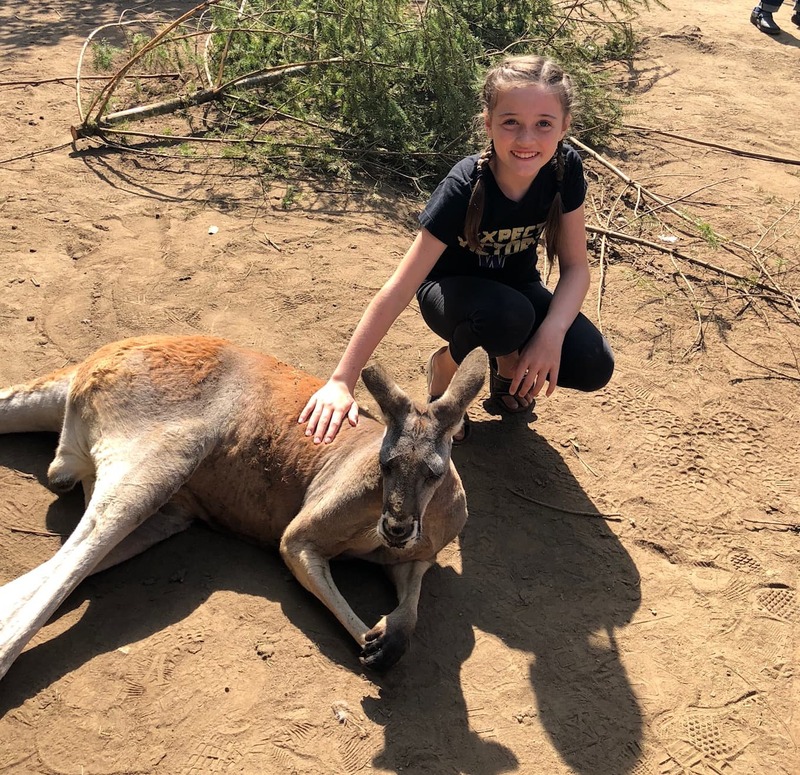 The Kangaroo Farm – in Arlington could be great fun, especially if you have kids with you! Worlds Biggest Garage Sale – happens in September, and from what I hear it is a lot of fun (plus a great way to find some good deals). We hope to visit this year and enjoy the fun (it came highly recommended from folks in the area)! If you plan to head up over the border, check out Jens posts on visiting Victoria, with many great tips on how to make the most of your trip on our NW Travel Reviews page here! 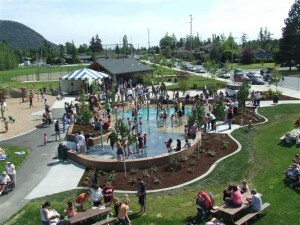 You might also be interested in this review of Lake Goodwin in the Stanwood area! 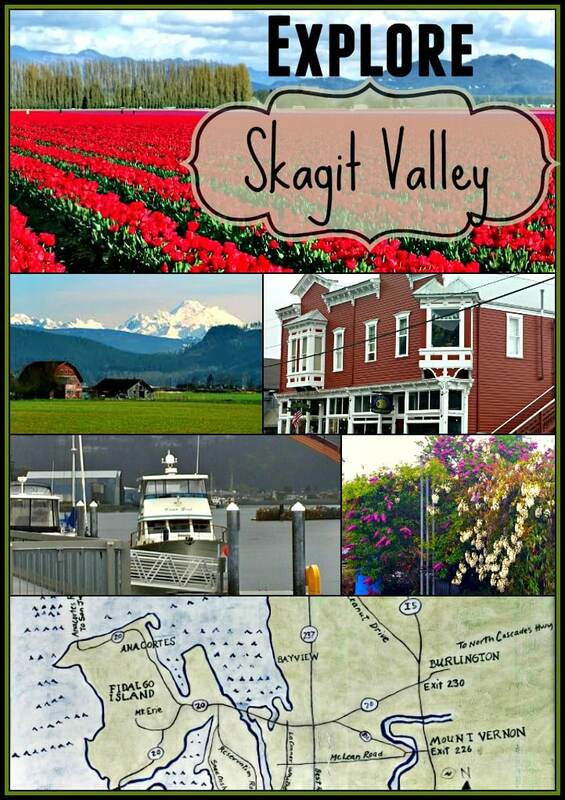 Be sure to let us know if you have a favorite tip about visiting the Skagit Valley that we missed.